Located near the intersection of Winkler Ave and Metro Pkwy, Extra Space Storage serves residents of Fort Myers, Page Park, Pine Manor, Whiskey Creek, Tice, and more. Locals will recognize our facility about next to Gardner Orthopedics. 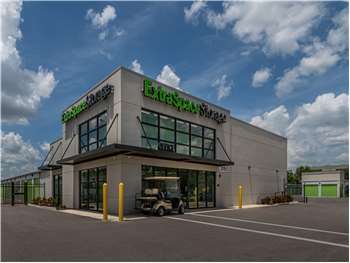 Extra Space Storage on Winkler Ave can accommodate residential and commercial storage needs in Fort Myers with a variety of storage units, climate-controlled storage, drive-up access, and more! Store items of all sizes with ease at Extra Space Storage! Our Winkler Ave storage facility has units from 25 square feet to 300+ square feet with features like first-floor access and drive-up access. To ensure the safety of our customers and their belongings, our Fort Myers storage facility is equipped with security measures like electronic gate access and 24-hour video surveillance. When storing temperature-sensitive items in Florida, climate control is highly recommended. These units stay between 55 and 80 degrees at all times to prevent damage caused by extreme heat and humidity. Save time and energy with a drive-up storage unit! This amenity allows you to pull a vehicle up to your unit to move items in and out without hassle. Some drive-up access units can also be used for vehicle storage. At Extra Space Storage, we believe our customers deserve the best. From our clean, well-maintained, secure facility to our friendly, professional team, we work hard to provide reliable self storage and deliver exceptional customer service. Contact us today to reserve a storage unit in Fort Myers!